The Public Health title examines the law that empowers public health officials and institutions to carry out various functions to deliver public health programs and services, prevent the spread of disease and promote and protect the health of the population. 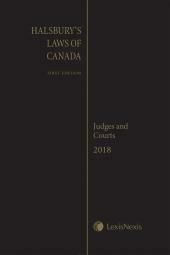 The Public Inquiries title explores the legal powers and unique procedural characteristics of federal and provincial Commissions of Inquiry. The Public International Law title examines the body of rules and principles that governs relations between sovereign independent states, between states and international organizations and, to a more limited extent, between states and other actors on the international stage. Hon. Stephen Goudge, Q.C., O. Ont., LL.B. (Hons.) & Heather MacIvor, B.A., M.A., M.Sc., Ph.D., J.D. Joanna Harrington, B.A., J.D., Ph.D.
Colleen M. Flood, B.A.-LL.B. (Hons. ), LL.M., S.J.D., FRSC, FCAHS, is a University of Ottawa Research Chair in Health Law & Policy and inaugural director of the University of Ottawa Centre for Health Law, Policy and Ethics. From 2017 to 2018, she served as Associate VP of Research at the University of Ottawa. From 2000 to 2015, she was a Professor and Canada Research Chair at the Faculty of Law, University of Toronto with cross-appointments to the School of Public Policy and the Institute of Health Policy, Management and Evaluation. From 2006 to 2011, she served as a Scientific Director of the Institute for Health Services and Policy Research, one of the Canadian Institutes of Health Research. 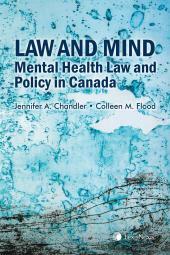 Her four most recent books are The Right to Health at the Public/Private Divide (2014) (co-edited with Aeyal Gross and published by Cambridge University Press), Law & Mind: Mental Health Law and Policy in Canada (2016) (co-edited with Jennifer Chandler and published by LexisNexis Canada), Administrative Law in Context (3rd ed. ), (2018) (co-edited with Lorne Sossin and published by Emond Montgomery) and Is Two-Two Health Care the Future? (forthcoming, 2019) (co-edited with Bryan Thomas and published by the University of Ottawa Press). She is part of the Ottawa Harm Reduction Network and teaches the “Law of Modern Day Plagues” at the Faculty of Law, University of Ottawa. Hon. Stephen Goudge, Q.C., O. Ont., LL.B. (Hons. ), was appointed to the Court of Appeal for Ontario in 1996. He served on that Court until 2014. He is presently counsel to Paliare Roland Rosenberg Rothstein LLP. He teaches Legal Ethics and Professional Responsibility at Osgoode Hall Law School, and serves on the Board of Governors of the Law Commission of Ontario. Heather MacIvor, B.A., M.A., M.Sc., Ph.D., J.D., is a former Associate Professor of Political Science at the University of Windsor specializing in Canadian politics, political theory and public law. Heather holds degrees in Political Science from the University of King's College, Queen's University and the London School of Economics. After earning her J.D. from the University of Windsor in 2014, Heather clerked at the Divisional Court in Toronto and then articled at Ontario's Ministry of the Attorney General (Civil Law Division – Constitutional Law Branch). 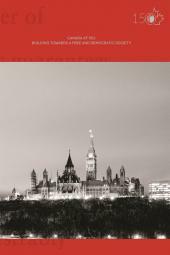 Heather has published several books, chapters and articles on political theory, Canadian politics, public policy and public law. She has worked as a Content Development Associate at LexisNexis Canada since January 2017. Joanna Harrington, B.A., J.D., Ph.D., is a Professor of Law at the University of Alberta. She teaches, researches and writes in the areas of constitutional law and international law, including foreign relations law, the law of international organizations, international human rights law, and international and transnational criminal law. Her work has been published in the American Journal of International Law, The Canadian Yearbook of International Law, Constitutional Forum, the International & Comparative Law Quarterly, the McGill Law Journal, Queen’s Law Journal, and the Supreme Court Law Review, among others. She also contributes to edited collections, including The Oxford Handbook of the Canadian Constitution and the Routledge Handbook of Transnational Criminal Law, and is a co-author of a leading Canadian textbook, International Law: Doctrine, Practice, and Theory, 2nd ed. (Irwin Law, 2014). Her work has earned the Martha Cook Piper Research Prize, a Killam Annual Professorship, a Fulbright Scholar award, and the Canadian Association of Law Teachers Prize for Academic Excellence, as well as visiting appointments at the University of New South Wales, the University of Oxford, and the University of Texas at Austin. She has also served with Canada’s Department of Foreign Affairs and International Trade (now Global Affairs Canada), providing advice to government on matters of international human rights law and international criminal law, and representing Canada at multilateral negotiations at the United Nations, the Organization of American States, and the Assembly of States Parties to the Rome Statute of the International Criminal Court. From 2010 to 2015, she served as an associate dean with university-wide responsibilities for the quality and standards of graduate education. Her consultancy experience includes work with the United Nations Development Programme and the Canadian Human Rights Commission. Before becoming a law professor, she served as the legal adviser with a member of Britain’s House of Lords for the passage of the Human Rights Act and other measures of constitutional reform. Professor Harrington holds a B.A. from the University of British Columbia, a J.D. from the University of Victoria, an Academy of European Law diploma in human rights law from the European University Institute, and a Ph.D. in Law from the University of Cambridge.